Sleek and fast body paired with 3-pickup system. The deep color and rich grain of a mahogany top give the T5z Classic a vintage, earthy character. Distinctive T5z features include a more compact body than the original T5, a 12" fretboard radius, and jumbo frets, which add up to a fast, fluid playing experience that makes string bends fun. 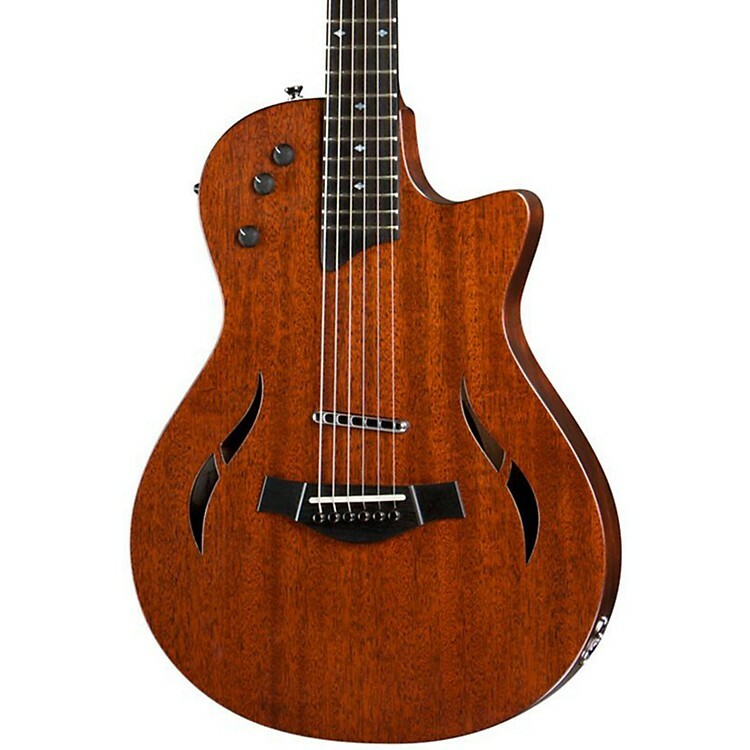 Like the T5, the T5z is equipped with a three-pickup configuration of an acoustic body sensor, a concealed neck humbucker, and a visible bridge humbucker, plus five-way switching and onboard tone controls, giving players an incredibly versatile electric/acoustic guitar. Appointments include Small Diamond inlays and nickel hardware, an unbound body and satin classic mahogany finish. The guitar ships in a T5z gig bag. Grab this beautiful guitar today. Click or call today!